William J Marshall & Partners is a leading London based consulting engineers and architects. In an industry that has an eye for detail, the new website required a lot of fine detail and focus on its construction. 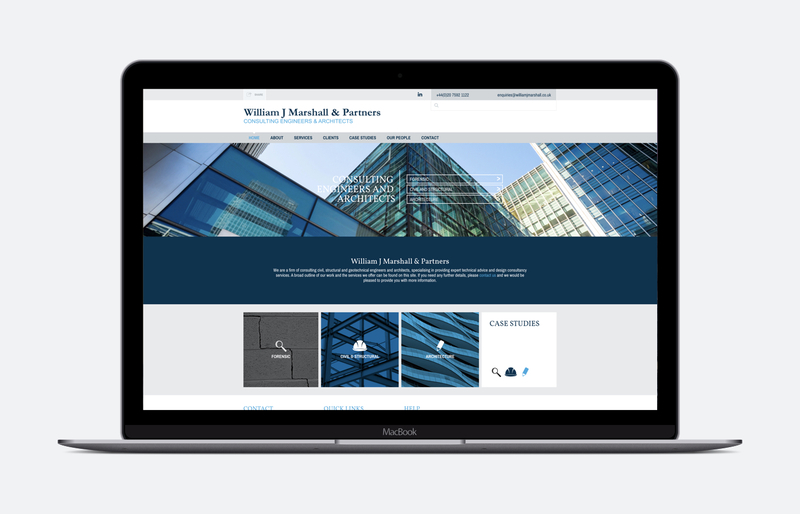 The website was built to include case studies allowing William J Marshall & Partners to demonstrate their wealth of knowledge, whilst a dedicated 'our people' page provides individual staff biographies.